Yet besides experimenting with marshmallows and croissants, simple is oftentimes all I do. 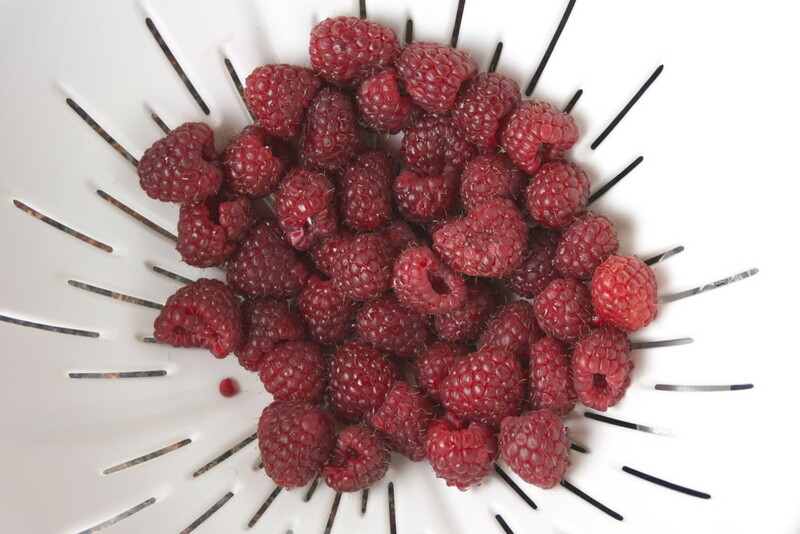 Simple is what I turn to when I need to whip up a batch of something for a dinner party or a whiskey party or a barbeque and I don’t have the time or attention span to devote to a tart or a cake. Simple is usually cookies these days, but simple used to always be brownies. These magical brownies, to be precise (not to be confused with “magic” brownies). This is a two-bowl, once in the oven recipe, which tickles me. Chocolate and butter. Salt and sugar. Vanilla and eggs. And flour — but just a little bit. No leaveners, no hand mixers or stand mixers, no food processors required. Just a couple of bowls and measuring spoons and cups, and a bit of love and magic. 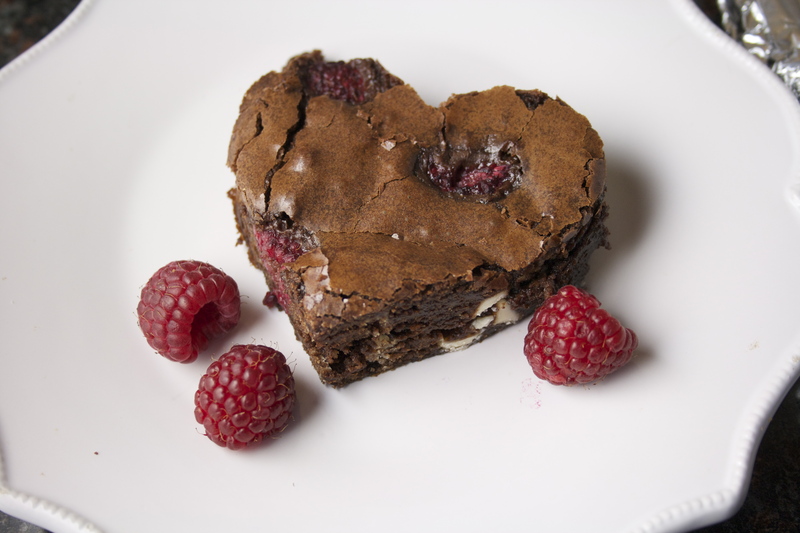 These brownies are rich and fudgy, decadent and decisive. Just barely undercooked, they melt on the tongue. 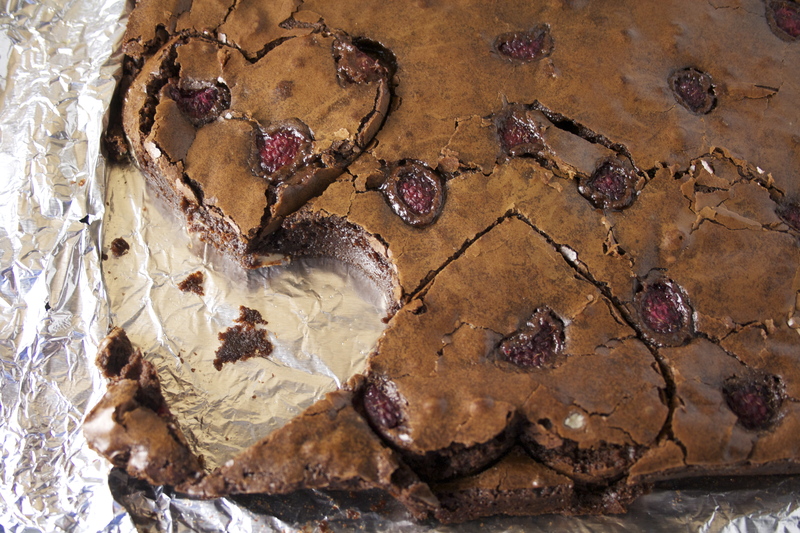 These ain’t your mama’s boxed brownies. On a normal day, I’d fold in some bittersweet chocolate chips, but it’s the season of love, and I’m not going out and buying a heart-shaped box full of bad chocolates for the one I adore. Instead I’m tucking in white chocolate chips and studding them with raspberries, for something sweet and something fresh, and for a beautiful color palette. Both add a lightness to the heaviness of the bittersweet chocolate base — a gorgeous complement. 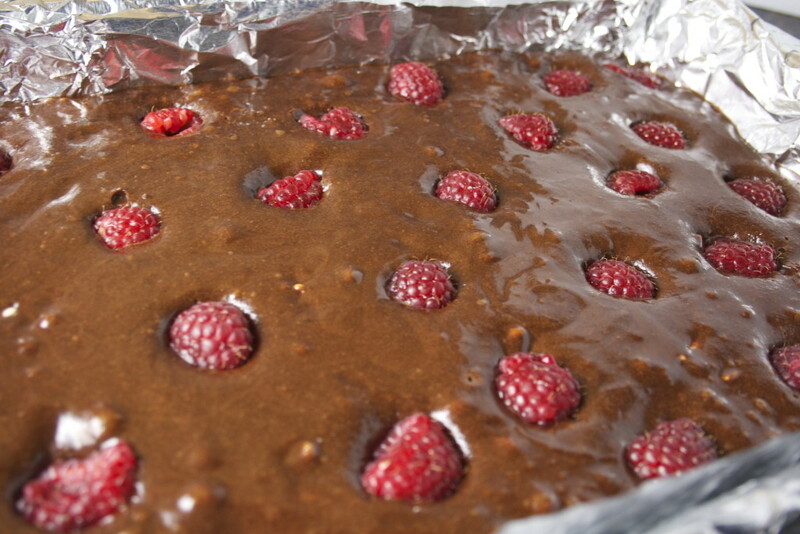 The white chocolate stays pretty firm after baking, giving the brownies some texture, and the raspberries become almost jammy after the heat from the oven. And I found a nifty heart-shaped cookie cutter, which will Valentine just about anything up. 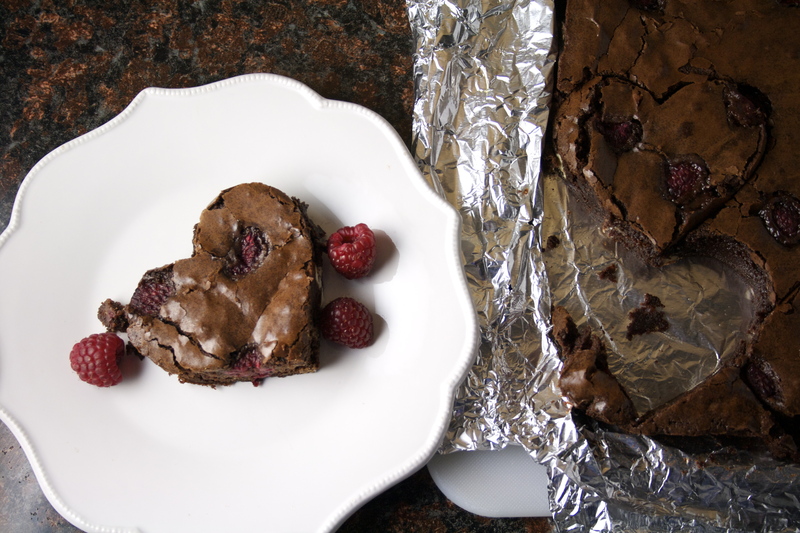 Brownies are sort of like that chocolate-peanut butter concoction I still love to make: they’re simple and nostalgic. They’re what I used to bake with my best friend during sleepovers or late Friday nights; they’re what we’ve always eaten too much of with messy fingers. But as we grow and age I guess we always tend to find ways to make our favorites even better. As long as some things stay simple, I’m cool with that. I’m here for the long haul. 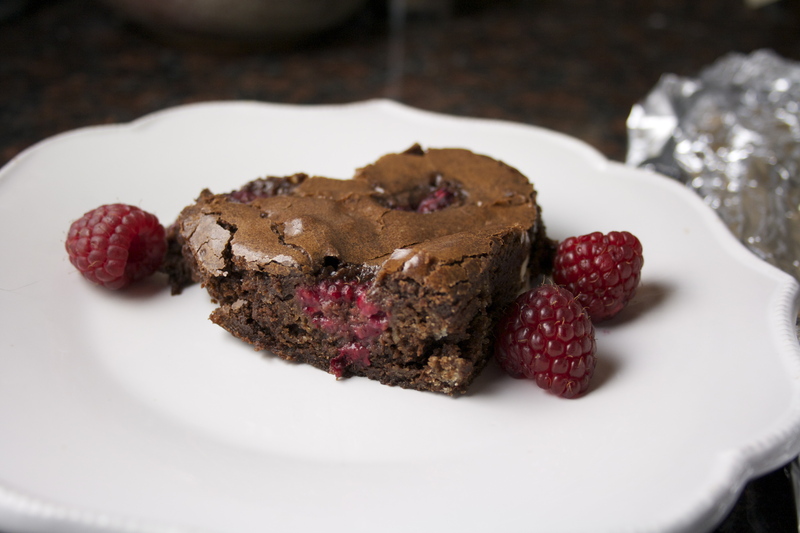 These brownies are incredibly fudgy, and their deep chocolate flavor is elevated with instant espresso powder. You can definitely leave it out though, if you want these for a late-night snack and you don’t actually want to be up all night. Or if you’re serving to children. I suppose. If you’ve never added it to brownies or cookies or cakes, though, give it a try. Those of us who have will tell you that it does nothing but bring out the best in chocolate. And keep your tired body awake. But hey, the devil’s in the details, right? Preheat oven to 350 degrees with a rack set in the middle. Line a 9 x 13-inch baking pain with a foil sling by laying two sheets of foil perpendicular to one another, allowing the extra foil to hang over the sides of the pan. Grease the foil with cooking spray or butter. 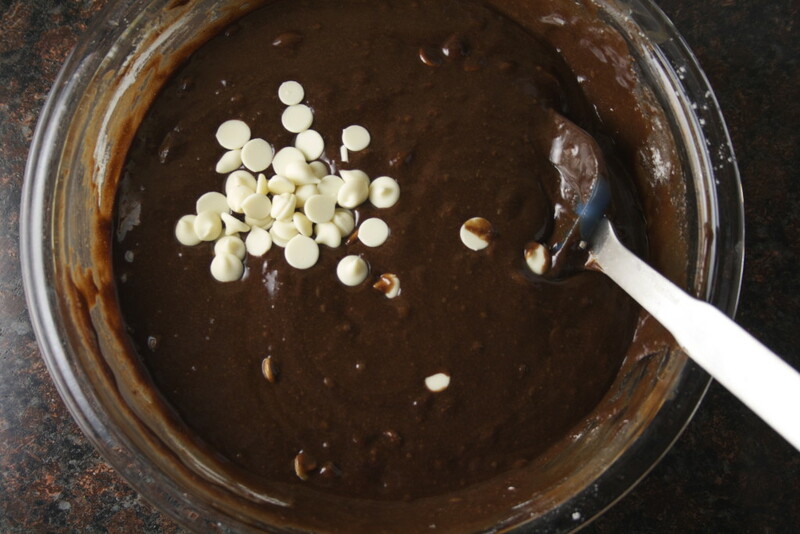 Combine chocolate and butter in microwave-safe bowl and heat at 50% power in one-minute increments, stirring every minute. 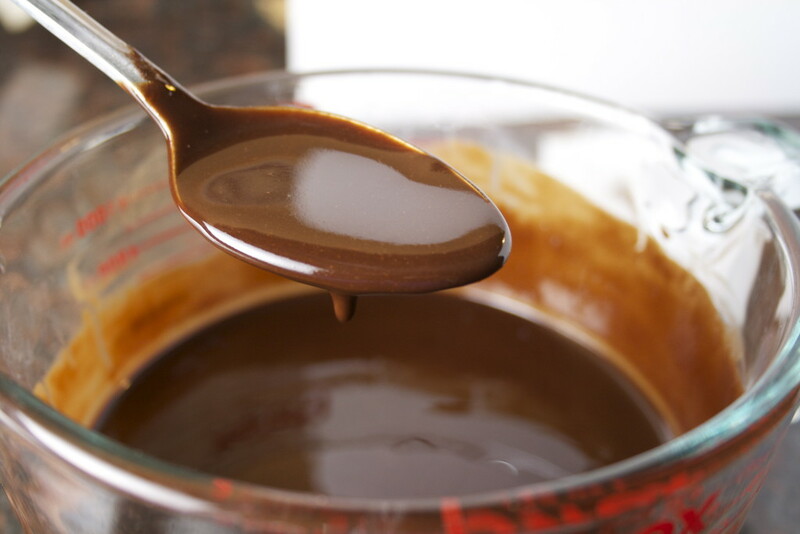 Don’t wait until the chocolate is completely melted or you’ll risk scorching. Remove when just a few melty chunks remain and stir. The melted butter and chocolate will melt the rest. Sprinkle in espresso powder if using and stir. Set aside to cool slightly. 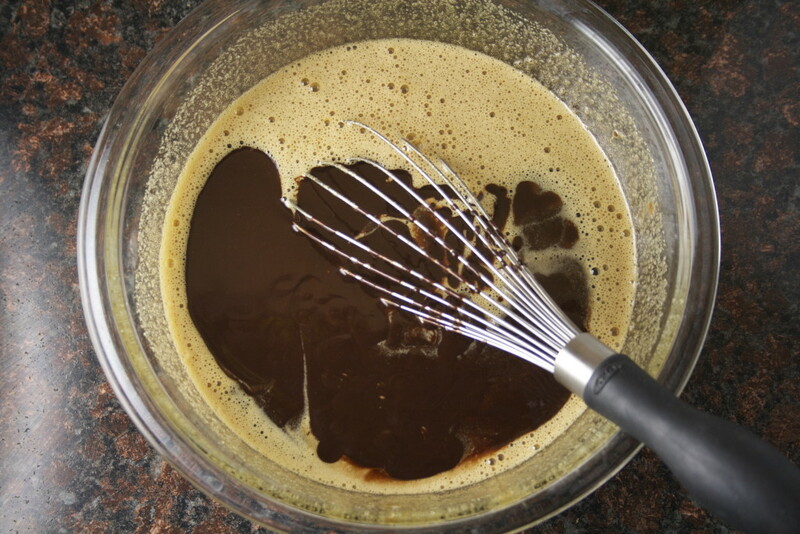 In a large bowl, whisk eggs. 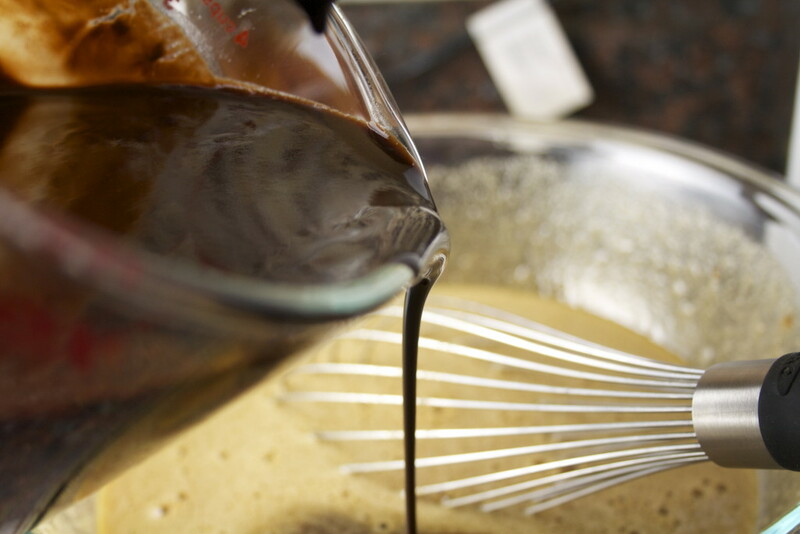 Add salt, sugars, and vanilla, and whisk to combine. Whisk in melted chocolate. Gently fold in flour until just combined. Fold in white chocolate chips. Pour into prepared pan. Stud the top with the raspberries, pressing them in as far as desired. Mine hit the bottom of my pan but were still beautifully visible on top. Bake for 35 to 40 minutes, or until the top is shiny and just starting to crack. Be careful not to over-bake. Let cool in pan on wire rack. To cut, lift foil sling out of pan and remove to cutting board. Cut into whatever size is desired, or into hearts or other shapes using a cookie cutter.